1) Fill out your name, email and contact details below and choose the tour that interests you. 2) We will reply to confirm we have received your request and ask you to complete our Standard Booking Form (which you can download here or, for groups, the Group Booking Form). You will need to send this back to us by email or post. 3) Once we have received your deposit – usually £250.00 – your place is booked. If you have any further queries can also email our director Nicholas Wood at [email protected] or call him on +44 7855 266 151. How many people would like to book for? 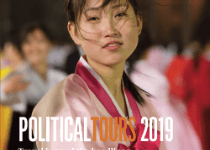 In accordance with “The Package Travel, Package Holidays and Package Tours Regulations 1992”, all passengers booking with Political Tours Ltd are fully protected for the initial deposit and subsequently the balance of all monies paid to us, including repatriation if required, arising from cancellation or curtailment of your travel arrangements due to the insolvency of Political Tours Ltd.
Consumer aware: Your booking is insured by IPP Ltd and its panel of insurers. This insurance is only valid for passengers who book and pay directly with/to Political Tours Ltd. For further information please go to www.ipplondon.co.uk.